Multi-award-winning millennial tech entrepreneur Charlotte Pearce has been revealed as the third keynote speaker for IBTM World 2018, which will take place in Barcelona from 27-29 November. 26-year old Charlotte, who has been tipped as ‘one to watch’ by Richard Branson, will draw on her background as CEO and founder of innovative technology platform, Inkpact, to present her session. Titled ‘Humans of Business; why connection matters’, Charlotte will explore methods in which businesses can connect to their customers in more thoughtful and personal ways. IBTM World 2018 is centred around the theme of technology and how it can enhance every aspect of producing great events, and Charlotte’s session will form a key part of this year’s ‘innovation, technology and creativity’ stream of the Knowledge Programme, kicking-off the schedule on Day one. Charlotte will join IBTM World’s two other motivational keynote speakers: Duncan Wardle and Dex Torricke-Barton, and together they will head up the full programme of 55 sessions forming this year’s Knowledge Programme. The programme, in the ACS Knowledge Village, covers eight topical content themes all aimed at inspiring and educating on the latest industry issues and hot topics so that delegates leave motivated to apply learnings to their own events. As well as innovation, technology and creativity, content falls under the following streams; industry trends; engagement and experiences; safety and security; sustainability and CSR; professional development, recruitment and wellbeing; business development and strategy; and marketing and digital. 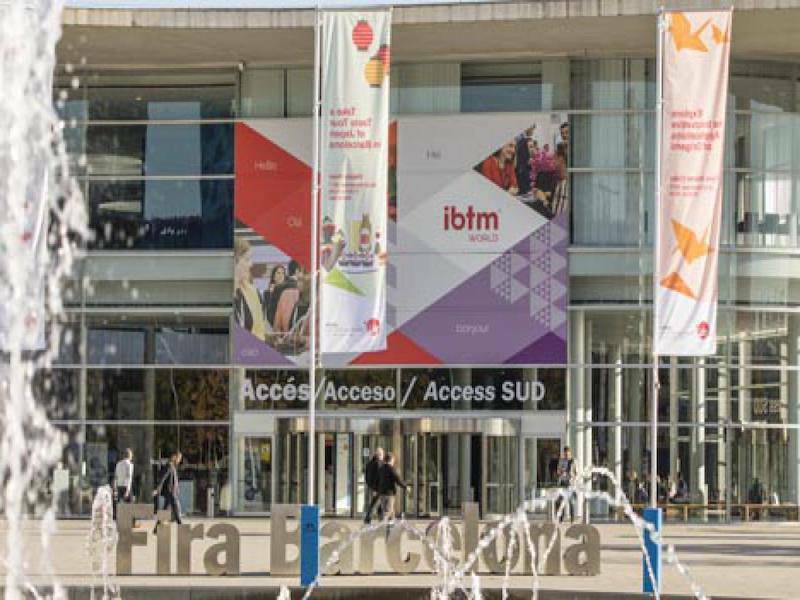 New exhibitors for IBTM World’s 2018 edition include Greater Boston Convention & Visitors Bureau, Poland Convention Bureau, Regal Hotels International, San Francisco Travel Association, SIXT GmbH & Co., Global Passenger Network, Barbados Tourism Marketing Inc, Beijing Municipal Commission of Tourism, Development Hong Kong Tourism, Alternative Athens, Tourism New Zealand, Standard Hotels and creative technology company Codemodeon. With Hosted Buyer recruitment underway, the team is on track to secure a high-profile group of event planners and buyers from across Europe, Asia & Australasia, Latin America, the Middle East, North America and Africa. Buyers already confirmed to attend include Netflix, Bayer US, AXA Financial Inc., Diageo, Delta Air Lines - Worldwide Meetings and Events, HelmsBriscoe, InfoWatch, PricewaterhouseCoopers, Procter & Gamble, Siemens Ltd., Viacom and SONY.